After last week’s disappointing match at Blundells fishery i was eager to get back and give it another try as i was still quite new to the venue ( this was just my 6th visit ) i didn’t expect to be doing that well as i figured it would take time to work things out and i had been doing ok at the start + end of the match it was just the middle part i was struggling with but i had a couple of things that i wanted to try . I arrived at the fishery just before nine o’clock which gave me time to have a quick look around the lakes and as the wind blowing away from the car-park i expected the f1s to be down that side of trio but with my luck in the draw bag recently i didn’t expect to be getting anywhere near that end of the lake , when i got back to the cabin it was time to book on then take my turn in the bag of doom and out i pulled 35 ( getting a bit better ) as it turned out i was still one of the last to choose and when it came to my go i finally had a chance to get on a low number so i settled on peg nine which is somewhere that i had wanted to fish for a while but i was just on the edge of the ripple . Top three-line , i surprised to find it a good foot shallower on this side of the lake and it was a lot flatter it definitely made it easier when plumbing up giving more options to follow the fish around the swim , i used a 4×14 speedy float with a positive shotting pattern of a spread bulk above the four-inch 010 garbo hook length . 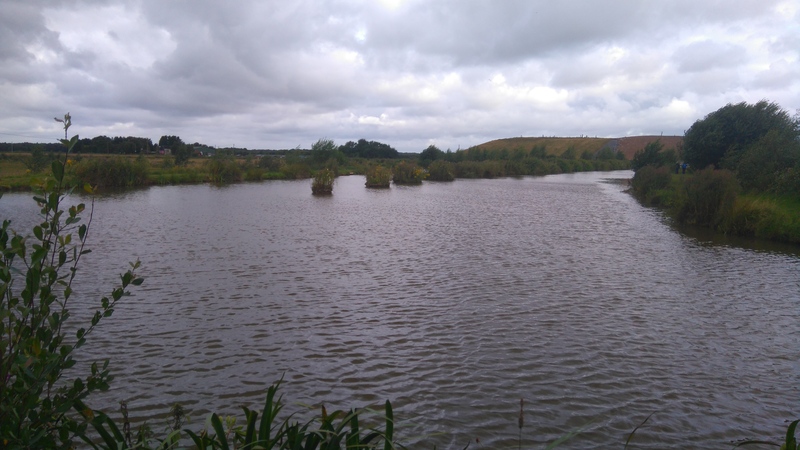 Margin line to my left under the tree tight to the bank , i used a 0.4 diamond patterned float which helped keep things stable when fish came into the peg my main line was 014 garbo that had a 014 garbo hook length and hook was a size 16 lwg which had a bait band attached . Three foot deep rig at the side of the right hand reeds and i used a 4×12 roob style float which had a 2mm thick bristle my main line was 014 garbo and hook length 012 garbo which had a size 18 lwg hook attached . Shallow rig set at 18 inch deep and i used a dibber style float my line was 012 garbo direct to a size 18 lwg which had a micro bait band attached . Jigga rig set at four-foot deep this would allow me to work my rig at various depths so i could hopefully keep in contact with the fish , my main line was 014 garbo which had a 012 garbo hook length attached . 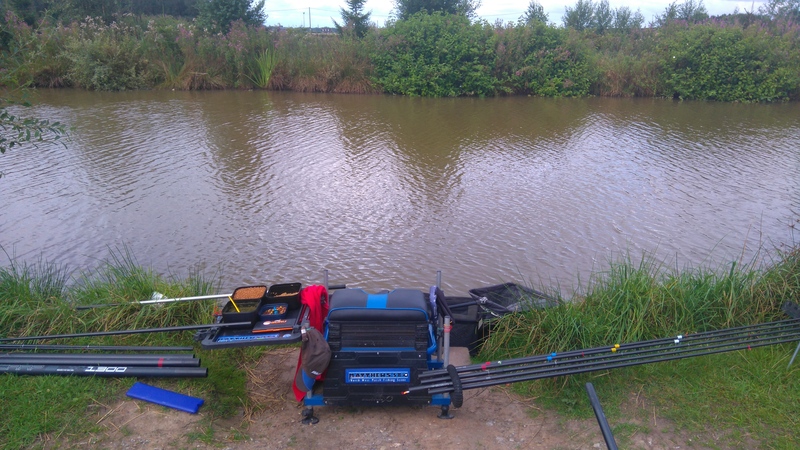 Straight lead for fishing on the bar underneath my shallow swim and i used a very light lead so it would cause minimal disturbance on the cast , i started with an 18 inch 012 garbo hook length but would change to a longer two foot one during the match to see which worked the best . When the all in sounded in the distance i began as i usually do on my top three swim and i kinder potted in a nugget of ground-bait as i hoped this would draw some fish into my swim then i held my float still over it , after a couple of feeds i started getting liners then i had my first of a multitude of foul hooked fish and i think that i can safely say that in this depth of water feeding ground-bait or micros isn’t the way to go , a change to throwing in a dozen hard 4mm pellets around my float finally had me hooking the f1s in the mouth but there wasnt that many fish in my peg i even tried fishing closer in the slightly shallower water and that didn’t really work out for me ,after the first forty minutes i only had four fish in the net which i was a bit puzzled about because this is normally a very good line for me on my previous visits . A change too my right hand swim in three-foot of water at the side of the reeds and i had flicked a few hard 4mm pellets there since the match started so i expected their to be a few fish present , luckily there was as i finally began putting the odd fish in the net but it was far from hectic and i didn’t really expect it to last too long so when i started catching the little skimmers i decided to try somewhere else . My next port of call was to pick up my tip rod and i started by casting about three-quarters of the way across , i fed a dozen pellets with a catty then dropped my lead in among it and i didn’t have to wait that long before my rod was nearly dragged in , by timing my casts i found that six minutes was how long i needed to leave my rig in before i had a bite so it wasnt really hectic and after getting stuck a couple of times i decided to begin fishing on the sunken bar this would also allow me to fish shallow over the top of the feed , i managed a few bigger f1s plus the odd carp by doing that but when i saw a fish swirl i decided to pick up my shallow rig . I picked up my shallowest rig and began getting into a routine of feed then flick my rig over and i began putting the odd f1 in the net but the first one i caught was nearly five pounds , when bites began to drop off i gave my jigga a try this is something that i haven’t given much attention too in the past but reading about how some good anglers had used it recently i decided to give it a try , i started catching the odd f1 and by altering the depths i found a few fish at three-foot deep but they were only hand sized plus they wasnt there in any numbers , with the bottom bubbling away underneath my shallow line i changed to my straight lead but even though i had plenty liners signalling that there was fish present i couldn’t get any proper indications . With just ninety minutes of the match remaining and only a dozen fish in the net it was time to see if my margin swim could produce like it had on my previous visits , i cupped in some ground-bait+micros under the tree while it settled i then went on my right hand side near the reeds and i picked up the odd f1 but it was only when i went on my top kit near the tree that i began catching consistently with some nice sized fish coming to the net , after a while things went a bit quiet so i fed another cup and swapped sides but that swim had really slowed down as i could only get the odd small skimmer+gudgeon so i decided to waste no more time on it preferring to concentrate at the side of the tree . 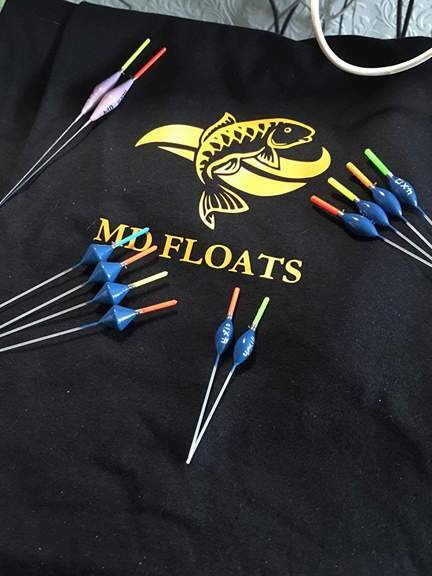 I began getting more and more liners , i was kicking myself of not going really tight to the bank in the shallowest water but with it not working last week and the weather conditions being the same i choose to put it slightly deeper , i had to take a shot of my float to show more bristle so i could read which was a proper indication and this helped me avoid foul hooking any fish , it wasnt long before i hooked something a bit bigger which took off towards the far bank bottoming out my size 14 solid elastic and i couldn’t get my other sections on in time before it broke me ! ! 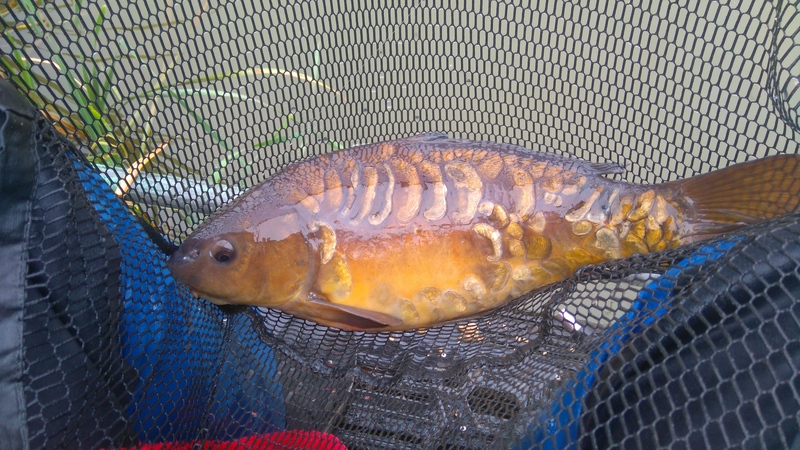 I was soon back catching f1s and i began feeding a kinder pot after every fish to keep them coming up to the all out . As i began packing up i was still pondering on why my top three-line didn’t work today because it is normally a really good area for me on earlier matches and i had no doubt that it would cost me any chance off my section , when the scales arrived at my peg the thirty f1s+carp went 64lb which was a bit more than i expected but the weights got gradually better the further they went to the windward end of the lake a couple of tons were in my section and 150lb won the match with a low ton needed to make the top six , so yet another confusing match at trio and i just can not keep catching for a full match but I’m sure if i put the time in then i will get it right soon . 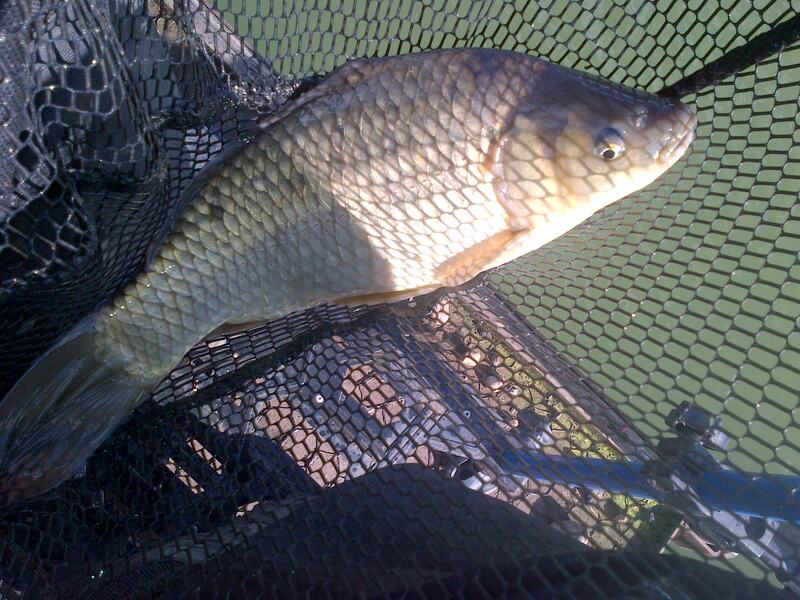 This entry was posted in BLUNDELLS and tagged blundells fishery, hard pellet fishing, straight lead, trio pool. Bookmark the permalink.